The last bottle in the cellar of Il Buco di Monstro, an ancient trattoria in the hills above Verona, and a bargain at €5000. 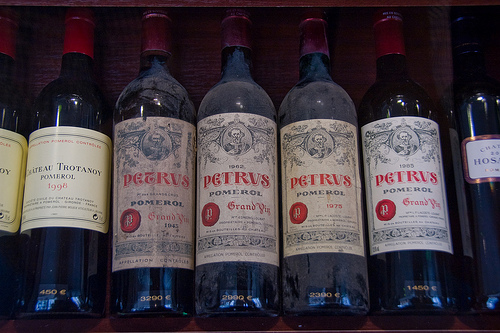 Pétrus’s flavor profile typically features aromas of ripe mulberry, black currant and spicy vanilla oak; in this bottle, the funk of wet animal fur overpowered all else. We left half the bottle for the busboy, and stiffed the waiter.